Wheeler Metals, Inc. is proud to announce its success in the metal roofing and siding division. 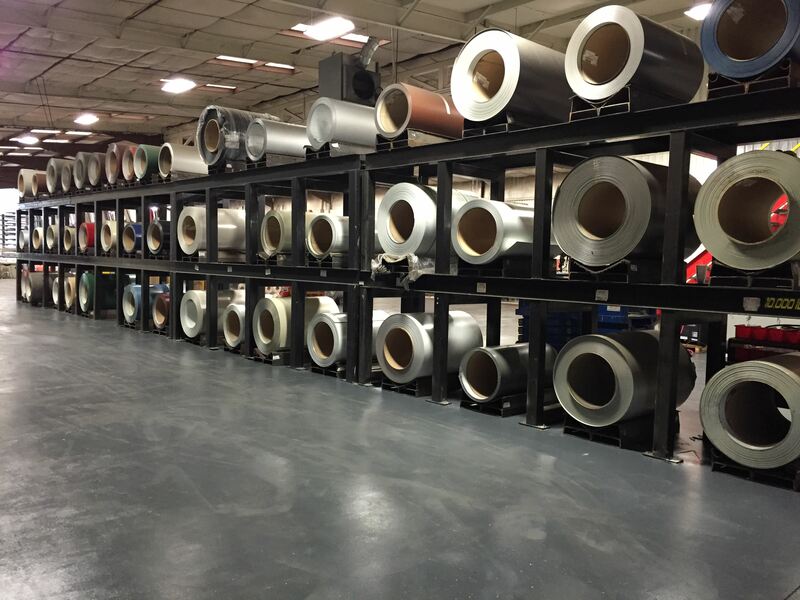 We have expanded to a 30,000 square foot facility specially designed and equipped to efficiently produce all your Metal roofing and trim requirements. We use the latest technical designed equipment to produce our panels and trim profiles to meet standards. Insuring you always get the highest quality product. We also have the capabilities to custom design and produce special trim shapes for your non-standard applications. We also offer coil sales to our customers who roll form their own panels. We can provide you (1) coil, mixed load coils with structural, or entire truck loads of coils from our 4,000 plus tons of coil inventory. Our prime material meets the strict requirements of UL 790, UL 2218 Class 4 and UL 580. Most all of our colors meet the Energy Star ratings. We also carry commodity and non-warranty material for those looking for the best price and function. Call us with your sheet metal needs!! !